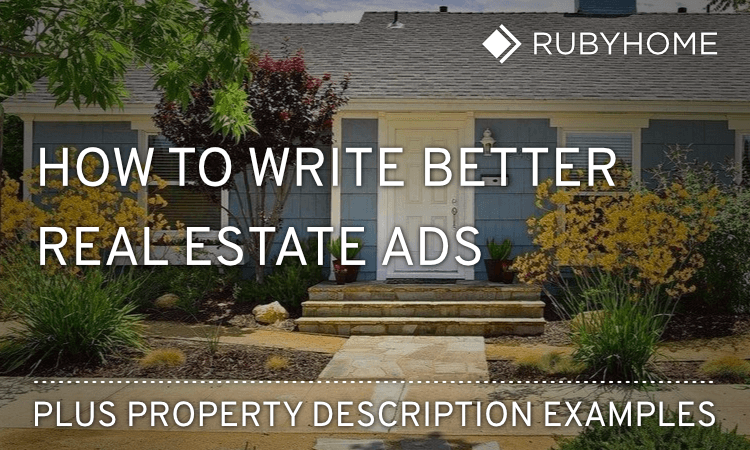 How to Write Effective Real Estate Ads [+ Description Examples] | Diamond Life Real Estate, Inc.
A property description is the written portion of a real estate listing that describes the details of a home for sale or lease. Descriptions account for roughly one-third of a listing and are accompanied by property information (i.e. the number of bedrooms) and photographs. The goal of property description is to attract home buyers. Listing descriptions need colorful words to paint a clear mental picture of a home’s features and benefits, over and above the accompanying photographs. Therefore, first-rate copywriting is a must. Simple data, or facts, about the property such as the street address, number of bedrooms and bathrooms, square footage and asking price. After querying property information (neighborhood, the number of rooms, price, etc. ), home buyers will see listing results that match their search. On the search results page, property photos immediately attract their eyeballs. Pictures make the first and strongest impression. Regarding image quality, you can take the photographs or your listing agent can take them, but the best results come from professional freelancers who specialize in real estate photography. You’ll be looking at a couple hundred bucks for top notch work. What’s more, some pros can also make drone videos or virtual tours. In any case, property photos should be high resolution so that they are clear. So far in their journey, home shoppers have narrowed their choices based on data and pictures. But they still need to get a feel for what makes each home unique and interesting compared to other homes on the market. This is where property descriptions do their heavy lifting. Good descriptions communicate a home’s features, along with the benefits, which make it the most desirable choice. Making a property stand out can help sell it faster. Property descriptions start with an opening statement followed by a paragraph or two about the home that’s up for sale. All copy should be terse, highlighting the home’s features and their benefits. For example, a pool is a feature. Entertaining friends, exercising or cooling off on a hot summer day are benefits. Carefully chosen adjectives convey extra meaning which creates value in the mind of the reader. For example, windows are merely features. But large windows that let in plenty of natural light takes on a whole new meaning, wouldn’t you agree? Let’s break a high-quality property description into its fundamental components – the opening statement, and body. Create a viewpoint based on the potential buyer’s income, family structure, lifestyle and occupation. Storytelling – tell readers what it’s like living in the home. For example, a deck can be used to entertain guests or take in a sweeping view. Provide readers with words that help them picture themselves living there. Rather than a sterile list of features, describe the benefits of those features. Highlight special features – views, decks, hardwood floors, marble countertops, tile showers, insulated windows, etc. List area amenities – let folks know about the convenience of living near shopping areas, public transit, airports, highly-rated schools or that the neighborhood is within walking distance of those amenities. List upgrades – point out anything new, refinished or improved. Sprinkle the copy with real estate adjectives – give your copy some style and help paint a mental picture for the reader. Take advantage of words that may help generate a better offer: luxurious, stainless, granite, upgraded, updated, landscaped, impeccable, bright and beautiful. Check for grammatical errors and misspelled words. Have a friend or family member proofread what you’ve written. Avoid using ALL CAPS and exclamation points. Be careful with repetition – if you’ve used an adjective or noun more than once, look up their synonyms online or with your word processor (MS Word or Apple Pages). Exaggeration could lead to a home shopper’s disappointment. For example, if trees obstruct a mountain view, using the phrase “breathtaking view” would clearly be misleading. Steer clear of words that may generate a lowball offer: fixer, potential, bargain, cosmetic, motivated seller, and TLC. When possible, identify the property’s loan eligibility – let folks know they can finance their home with FHA or VA loans (single-family properties, manufactured homes and condos) or a USDA loan (rural areas). Way too short. Only includes basic information. The property description is repetitive, as it contains data already available to a reader in the property information area. Why use the word property in the second sentence when you can use the word home? The word beauty is used twice, find a synonym. Spacious backyard and the suggestion of using it for family gatherings (storytelling) paints a nice picture. Readers can imagine themselves in the space and how they can put it to good use. Excellent use of adjectives throughout. Could improve the description by telling a story or adding some benefits. Using all caps for the word STUNNING helps it stand out. This is an example where using all caps judiciously (only one time) could be an exception to the “no all caps” rule. This otherwise solid description did not include any storytelling.